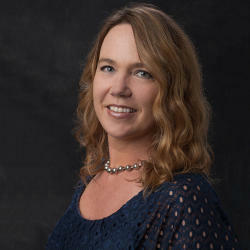 Laurie Wehring is the Chamber’s Vice President of Leadership & Small Business Programs. In her position, she is responsible for the Business Trade Show, Small Business Week, NB Today LIvestream, Business Advisory, and the Leadership New Braunfels Youth, Adult and Alumni programs among other programs, projects and events. Wehring holds a Bachelor of Fine Arts from Southern Methodist University and has honed her skills in program and project management, marketing, customer service, public relations and finance during her career the last 18 years. Prior to the New Braunfels Chamber, she most recently worked as the Digital Marketing Manager for Firstmark Credit Union in San Antonio and has previously worked in New Braunfels for both First Victoria National Bank and First State Bank. Before joining the Chamber’s staff, Wehring was a strong supporter of the Chamber having earned her Blue Coat as part of the Chamber’s ambassador program. She also participated in many of the Chamber’s programs and events and volunteered her time and efforts in leadership roles with both the Business Trade Show planning committee and the Leadership New Braunfels Steering committee.